Genre: Young Adult, Paranormal, Romance. This book was sent to me for review by the publisher but this in no way alters my opinions of the book. 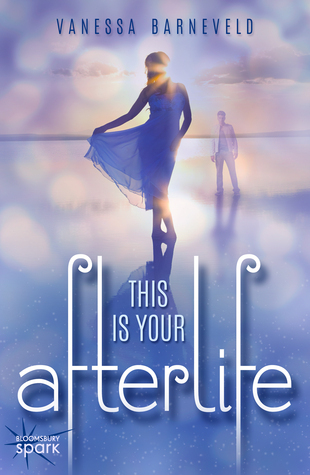 This Is Your Afterlife is a really fun, quick YA paranormal read. It’s one of those books that is just so easy to read that it seems like you’ve only just started the book and then suddenly it’s over. Keira Nolan is the main character and she’s just an easy character to read about. She was incredibly relatable as she’s dealing with the grief of losing her grandmother. This couldn’t have come at a better time in my life as it really helped me come to terms with a similar situation, so I liked that part of the book. However, the main part of this book actually focuses on Jimmy- the star of the football team who’s just turned up as a ghost in Keira’s bedroom. I loved Jimmy – he was incredibly funny so he really lightened up the whole book, but I was also really desperate to know how he became a ghost. Of course, there’s also Dan – Jimmy’s super hot younger brother that Keira has some unresolved history with. Not only was he super hot, he was just a really nice addition to the story. I think parts of the book were a little bit predictable, but as a whole, the story was just a great light, fun read. 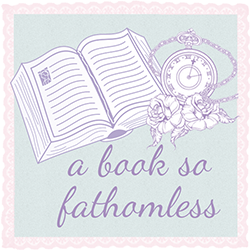 I would definitely suggest it if you’re looking for something nice and quick, especially if you’re looking to bump up those Goodreads Reading Challenges. Thank you to the lovely people at Bloomsbury for providing me with a copy of this book. Don't forget to check out this wonderful guest post that Vanessa did for us last week.